Volunteers of the First Response Team have discovered a mass grave in Panorama area in Raqqa city, local sources reported. 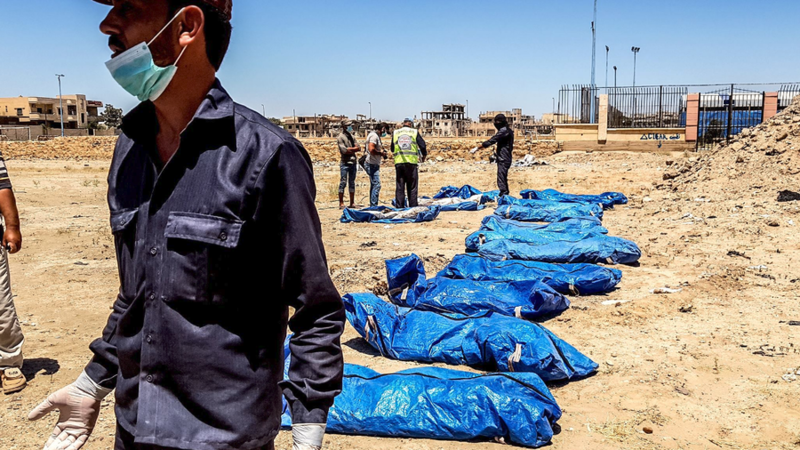 According to the initial estimates, the grave contains between 1000 and 1500 bodies of civilians who died during the Raqqa offensive spearheaded by the US-backed Syrian Democratic Forces. A total of 2800 bodies have been previously discovered in Raqqa. According to the human rights monitors, the majority of the victims died from the US-led International Coalition air strikes on the city. In mid-September, another mass grave with 96 bodies was discovered by the First Response Team at the Old Mosque Square in Raqqa.